Greetings Pilots, in this thread we'll be accepting nominations for Outlaw Squadron Commanding Officer (SCO). Both myself and RLSC DXO Gil Guemes will be monitoring all nomination & voting threads. 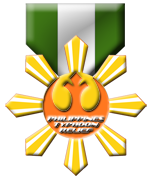 According to the Rebel Legion charter, nominations begin Monday, September 10th, at 12:01am EST and conclude Sunday, September 16th, at 11:59pm EST. Q&A begins Monday, September 17th, at 12:01am EST. The Questions phase ends Sunday, September 23rd, at 11:59pm EST, while answers may continue until Tuesday, September 25th, at 11:59pm EST. Voting begins Monday, September 24th, at 12:01am EST and concludes Sunday, September 30th, at 11:59pm EST. The new administration takes office Monday, October 1st. If the current Squadron Commander does not seek another term and no nominations are made for that unit, the SXO must accept or decline being promoted to CO. If the SXO declines (no response to the RLSC inquiry is considered a decline) then the Rebel Legion Starfighter Command will appoint a new CO or dissolve the unit due to lack of leadership and pilot participation. I would like to nominate Thomas "Crix" Turner for another tour of duty .. I would love to be CO of the Outlaws again. I accept the nom, but I have no problem passing it on to someone else if they so desire. I dont want anyone to worry that I would be upset if they wanted to run against me. Congratulations to Crix (Thomas Turner) on his uncontested run for Squadron Commander. 1) Select a XO (who MUST be a RLSC member), and post a new thread in this forum titled "2012/2013 Squadron Command" showing the current Squadron Command structure. Please do this within the next two weeks.